Anna and I visited the Bangsar 2 branch and have yet to visit the Midvalley branch, which is surprisingly spacious than the Bangsar 2 branch one. It has a hint of hipster-ish interior too! We were seated and served with the yummiest biscuit in the world (at least to me) and tea! To make sure we won't get bored throughout the session, they also brought some magazines for us to read. Since I was there with them, I know it won't be a boring session! 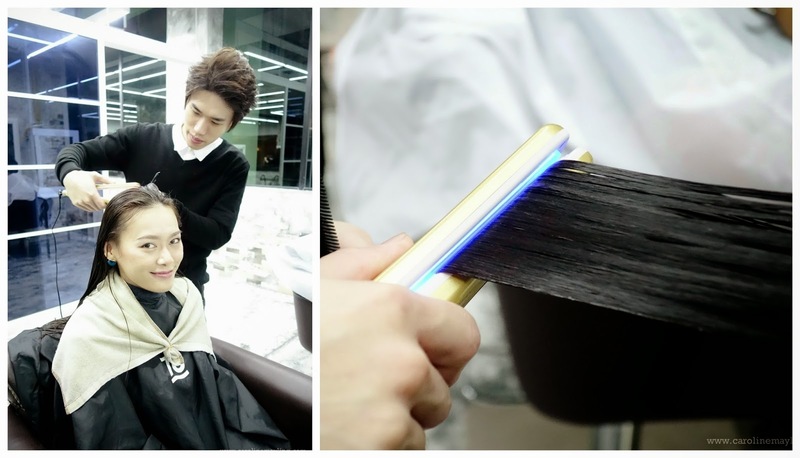 Each of us has appointed stylist and I have Steve to consult and after check my dry and damaged hair condition, he had recommended me to do the UltraSonic Iron Hair Treatment. I actually thought it going to involve heat and I almost wanted to say no. LOL! I was then passed to Zack, who actually going to do the treatment on my hair. 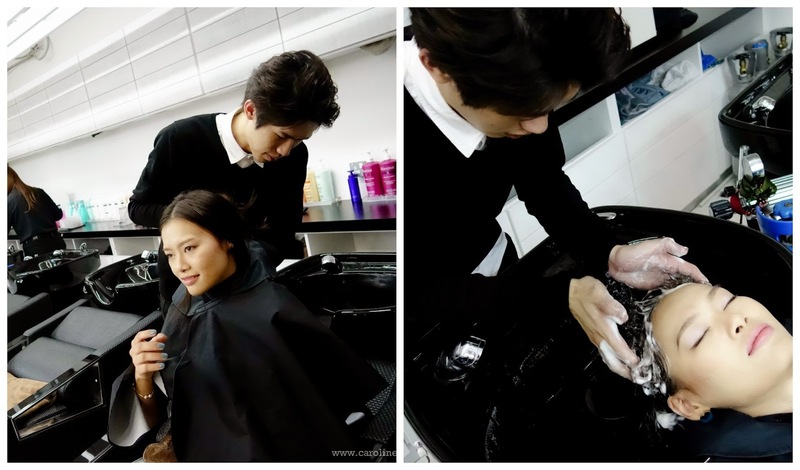 First, he washes to cleanse my scalp and hair. 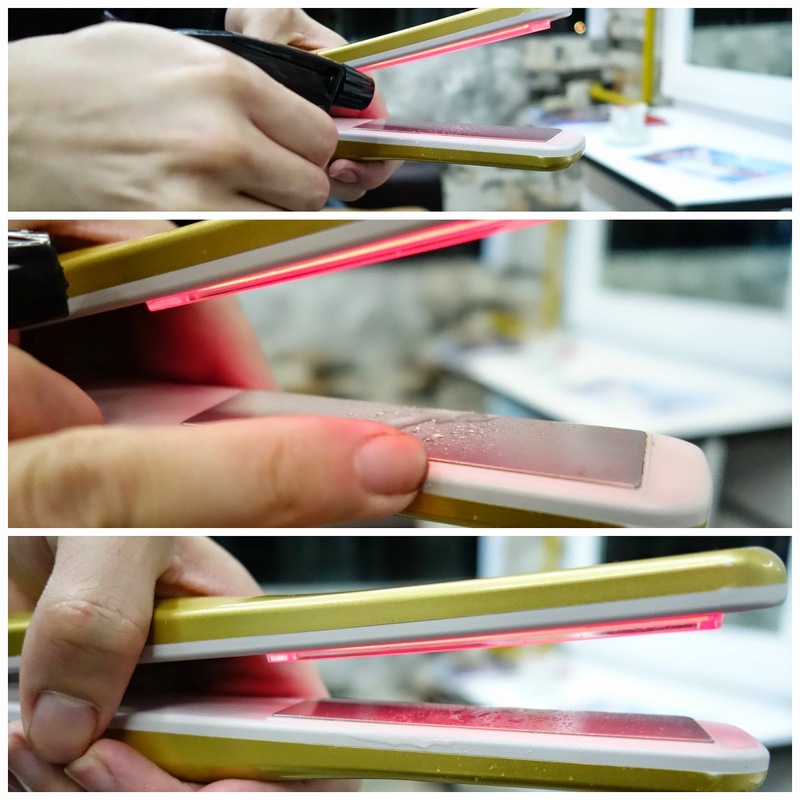 Then apply the treatment before starting with the ironing process. Before I asked him any question, he starts to explain how the treatment process works and there's no heat involved in this treatment. The red light color just freaked me out a bit! Apparently, the iron has an enhanced effect on all chemicals such as hair color, perm lotion and hair treatment that are applied to your hair. It vibrates at 37,000 beats per second, separates particle of protein, water and oil in hair treatment as well as help it to penetrate deep inside your hair. It does not use heat like normal hair irons do. It vibrates the cell of your hair and helps penetrate treatment deep into your hair. You can hear the mild vibrating sound during the ironing process! After the ironing process, Zack applied another treatment lotion on my hair and washed off, and we're done! I was surprised with the result after the ultrasonic iron treatment! My hair feels extra soft and smooth! The best part about this signature magical treatment is it lasts longer compared to other type of hair treatment, it can be a few months! Of course, it's important to take care your own hair too! Thanks to Zack for his pleasant service whilst entertaining me during the treatment. 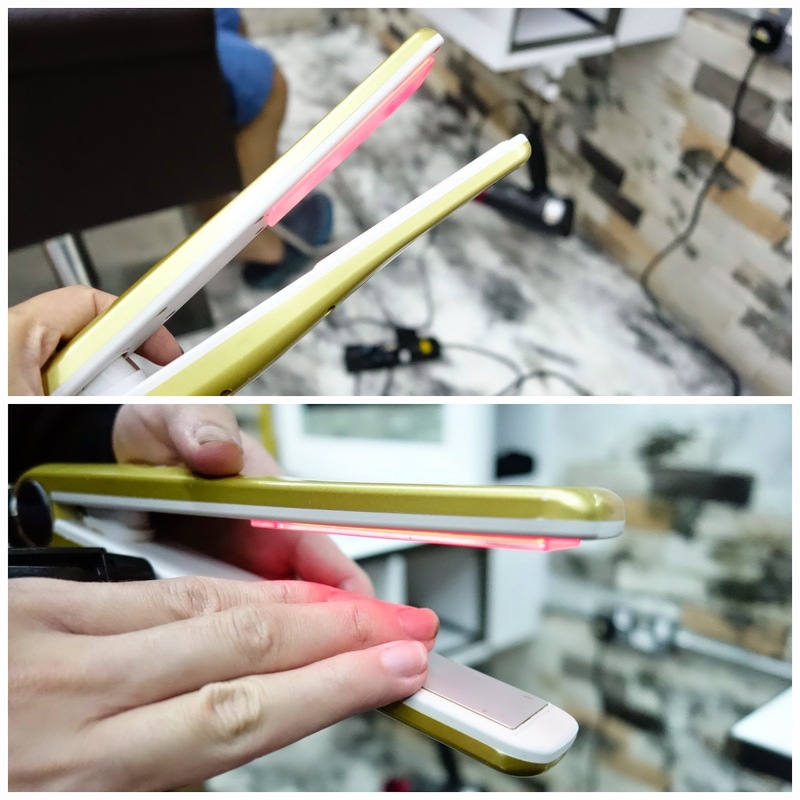 For those who are having dry, frizzy and damaged hair due to hair chemical services, you guys have to give this magical UltraSonic Iron Treatment a try and experience the difference yourself!